*Second Floor Fireplace is not for guest use. *Accordion doors off the living room can't be left open and are not accessible from the outside. DETAILS: Ideally situated in WaterColor's Lake District, 93 Vermillion Way is a three story vacation haven that is sure to impress. Enjoy the home's fabulous outdoor spaces which boast a private pool and views of Western Lake from the patio and multiple balconies. The first floor offers a spacious living area and a patio/grill area which is the perfect spot for entertaining. Upstairs you will find a spacious deck from which you can enjoy more spectacular views of the lake. 93 Vermillion Way includes six bedrooms, six and a half bathrooms, two living areas and exceptional accommodations for up to twenty guests comfortably. When you're ready to explore the area, take the bikes for a cruise around WaterColor's winding paths and trails or head over to neighboring Seaside for fabulous shopping and dining venues. Browse photos and book your next luxury vacation today! 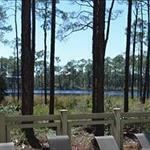 Great spacious house in beautiful location looking over the lake! 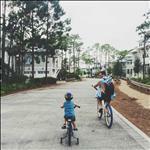 Quiet part of the community and still walkable to everything. Home was pretty well equipped for our group. We had 6 couples all had comfortable beds and private bath although one couple slept in bunk room and there are no blinds on the window or in the bath. 360 Blue always takes great care of us on our stays! Very accommodating upon our arrival and throughout our stay! Had a great time! We are so glad that you enjoyed your stay with us in Watercolor! 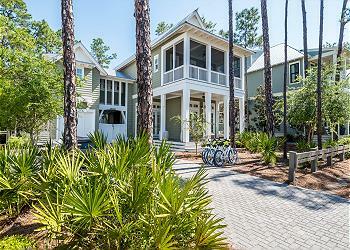 We agree that this home is a wonderful option for a quiet yet fun beach getaway! We are also delighted that your experience with 360 Blue was a positive one and we hope to be able to host you for many years to come! We had a good time at 93 Vermillion Way. Beautiful home and location. We had to cut our trip short due to a death in the family. Thank you for giving us a few days of joy in your home. I do have a couple of comments that you may want to know about. I would have someone go around and clean the property around the house. Lots of trash outside the trash can area, and along the pool fence. Facet on main sink is loose from the marble. Ice maker dispenser in door did not work well and pool door with alarm was awful. I understand why it’s there, but we did not have children with us and the alarm the way it is set up made the whole door system unusable. We did have a great time for the days we were there, but I thought you might want to know these things. We are so glad you enjoyed your vacation with us in Watercolor and we are so sorry for your loss. We hope all is well. We apologize for the issues experienced during your stay and we will be sharing this feedback with our team. We hope to see you again very soon! We had a wonderful time in Watercolor. Our home was spacious with lots of rooms. The home was well equipped. 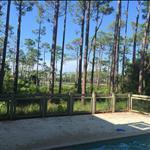 We enjoyed our vacation with our extended family who rented another home close to ours. Thank you so much for choosing to stay with 360 Blue! We are so happy you enjoyed your vacation in Watercolor! We can't wait for you to come visit us again at the beach! What a great photo! We are thrilled that your family had such a wonderful stay in this beautiful home. We were happy to get your watch back to you. We hope to have you back soon! Fantastic house! This is our first time in Water Color. The whole neighborhood is so quaint and beautiful. The house is huge and really nicely decorated. We had 7 people in our party and had tons of room to spread out. Each room has its own bathroom which is a nice luxury. The kitchen is really big and open to the family room. Overall a great experience. The property management company is very professional and responsive. We had two questions during our stay and they were addressed immediately. Loved it! What a beautiful photo! We are so excited to hear that you loved this home as much as we do. We enjoyed having you with us and we hope to have you back soon! We are the Bryan's from St. Louis, Missiouri. We had two houses with 360 Blue this year, this one 93 Vermillion Way and 82 Vermillion across the street. In 93 there were four adults and 5 children. They loved the house and all that was there except they were unable to use the pool as it didn't have a heater and it was rather cool during our stay but there's no control over the weather. Going to the beach club, the beach, riding bikes, fishing and playing golf were all of there favorite activities at different times. Across the street in 82 were their cousins so there was a great deal of going back and forth between houses which such fun for all of them. This was our tenth year at Watercolors which we all love and the fourth or fifth time we have rented from you all. It was such a great pleasure to have you and the extended family stay with us in WaterColor! We couldn't be happier to hear everyone enjoyed themselves and their time together swimming and buzzing through the neighborhood on the bikes! We look forward to having you back for more fishing and relaxing days on the golf course! We had a wonderful time ! Beautiful house . The whole family had an amazing time . What a breathtaking view! Thank you so much for sharing and for staying with 360 Blue! Nice rental with a lot of room. Has 6 bikes, and the beach is a quick bike ride from the house. We used the grill and ppol and enjoyed it. You can see the lake from the living room and some of the bedrooms. Attached is the bike path that runs up and down the coast. Such a perfect scenery for a bike ride! Thank you so much for staying with 360 Blue! We appreciate you taking the time to share. We hope to have you back again! House was awesome!!!!! 360 Blue was awesome too!!!! We will DEFINITELY be using them again!!!! highly recommend this home as well as the company! So thrilled to have found such an amazing, honest company and vacation spot! Look at him go!! Thank you so much for staying with us at 93 Vermillion in WaterColor and for the kind words! We love the great feedback and are so happy we helped you and your family with the perfect vacation!